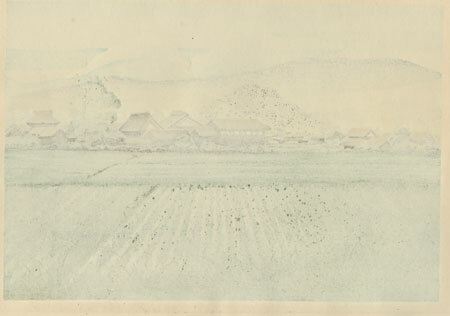 Sosaku Hanga - The sosaku hanga or creative print movement in Japan began in the early part of the twentieth century. 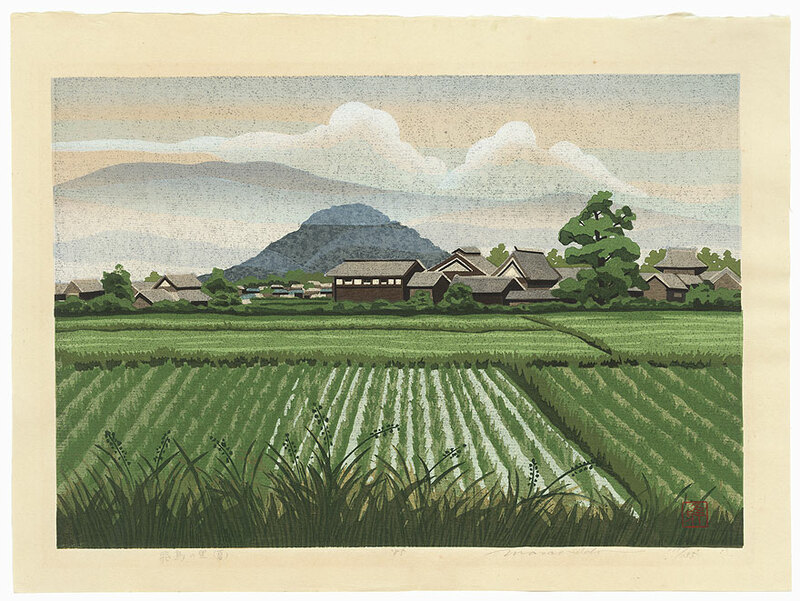 Unlike the traditional collaborative woodblock printing process utilizing a separate artist, carver, and printer along with a publisher, the sosaku hanga movement emphasized artist involvement in designing, carving, and printing the blocks himself, as the sole creator of his work. The movement gained popularity following World War II, earning international acclaim and expanding subject matter to include abstraction. Today most contemporary Japanese print artists design, carve, and print their woodblocks themselves, continuing the vibrant creative tradition established with ukiyo-e. Sosaku hanga prints encompass a wide range of subjects and expressive artistic styles, and are a great choice for a collector interested in modern and contemporary prints. Masao Ido - Born in Manchuria in 1945, Masao Ido moved to Japan as a small child and today lives and works in Kyoto. He studied with Koho and Otsubo Shigechika in Kyoto. He has achieved an international reputation as one of Japan's leading contemporary artists, and his works are included in the collections of the Tokyo National Museum and the Los Angeles County Museum of Art. He is also recognized as a teacher, having taught other contemporary masters such as Seiji Sano. 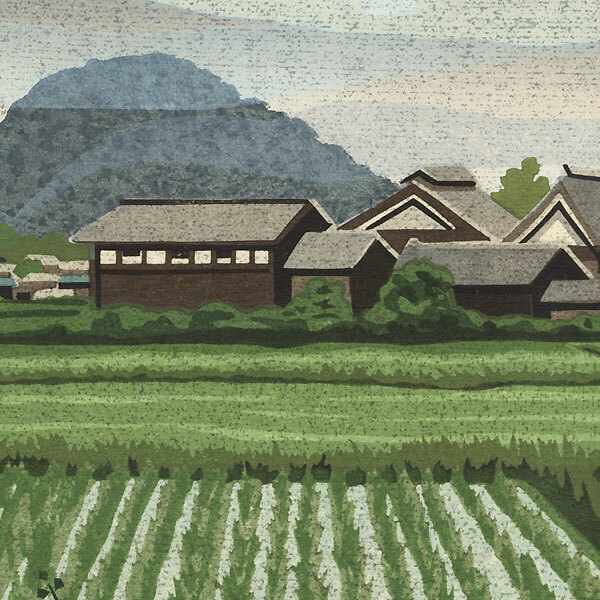 Known for his serene landscape prints of traditional Japanese subjects, Ido finds inspiration in Kyoto and the surrounding countryside. His tranquil images of private gardens, quiet streets, temple gates, and hillside views reflect his interest in nature and the changing seasons. A simplicity of form and a masterful layering of subtle color to achieve a sense of depth and richness distinguish his prints. Creating primarily small limited editions, and he signs, numbers, and dates each print in pencil, adding the title in kanji characters. The small edition sizes make them a good opportunity for investment, and they also make beautiful framed presentations. Ido's handsome woodblocks are a nice choice for collectors in the contemporary Japanese print market. The artist's death in May of 2016 has created a surge of interest in his works among collectors. Condition - This print with excellent color and detail as shown. Slight paper remnants on reverse at top corners from previous mounting. Slight toning, a few small spots. Please see photos for details. Nice overall.